A Water Resource Plan (WRP) determines how water resources will be managed and ensures that water resource management is consistent with the Basin Plan. DPI Water is developing water resource plans for 22 surface water and groundwater areas in the NSW part of the Murray Darling Basin by 2019. The Lachlan will have a viable, productive irrigation industry into the future if we have a Water Resource Plan that delivers a fair share of water for licence holders. There will be one surface water WRP for the Lachlan that covers the Lachlan Regulated River, Belubula Regulated River, and Lachlan Unregulated Streams including Mandagery Creek. This plan is currently under development by DPI Water, see here for information on how DPI Water is managing this. The Water Sharing Plans (WSP) are an important part of the Water Resource Plan because they determine reliability of access to water and govern how licences can be used. 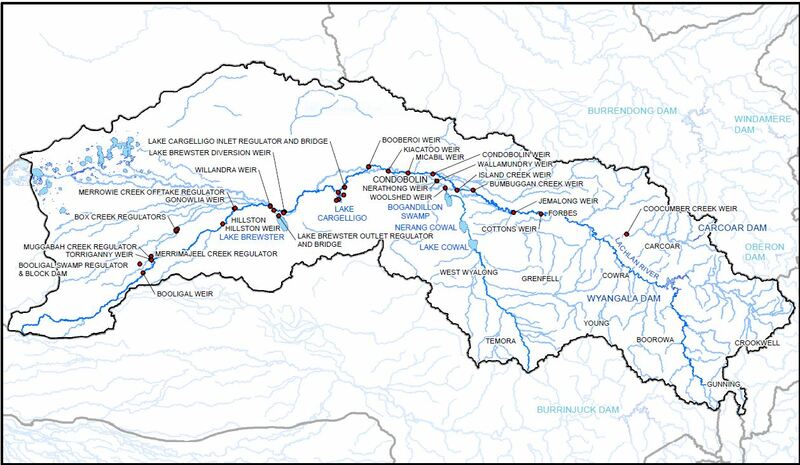 Currently in the Lachlan and Belubula Rivers the licensed usage is not reaching the diversion limit allowed under the Water Sharing Plan, so changes to the WSP are needed to ensure that productive usage achieves the allowed diversion limit. There will be one groundwater WRP for the Lachlan that covers the Upper Lachlan Alluvial, Belubula Alluvial and Lower Lachlan Alluvial Groundwater areas. See here for information on the Status and Issues paper for the Lachlan Alluvial Groundwater resource.